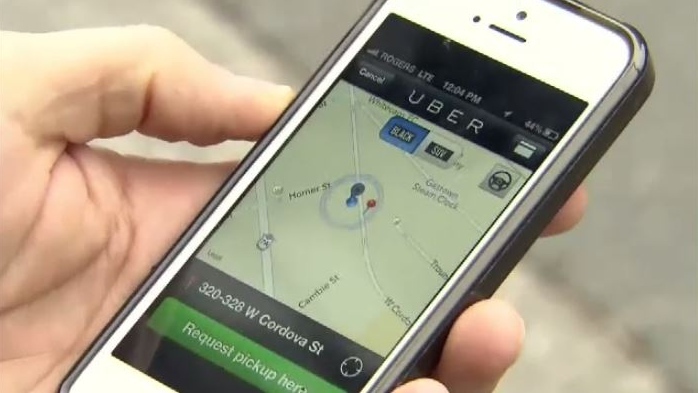 Halifax regional council was looking at a motion that could introduce ride-sharing apps like Uber to the city, but a vote on the motion was deferred - but not without a debate. Coun. Matt Whitman brought the motion forward, and he thinks Halifax Regional Municipality is already behind the times when it comes to this technology. But some people have mixed feelings about the apps -- specifically, cab and limo drivers, who aren't feeling very welcoming. McDow says the Halifax region just doesn't have enough passengers to make room for like Uber or Lyft and it could cause cab drivers to be out of work. “Let the market decide if it's good for Halifax or not,” he said. Halifax-area taxis have been in the public eye lately and not for good reason. Cabbie Bassam Al-Rawi was recently retried over allegations of sexual assault in his cab in May 2015. Whitman says apps aren't a guarantee of safety, but there are other measures in place. As for passengers, there is interest, especially from people who have used the apps before. The motion was deferred until a Feb. 5 report from the transportation committee. That report is supposed to look into public transportation in the city, but staff say it will also address what council could do if they want to go forward with apps like Uber and Lyft. Halifax Regional Council deferred debate on a motion about ride-share apps until a Feb. 5 report from the transportation committee.